For the third straight year, Arts Visalia will host the annual Visalia Art League Members Exhibition. This year’s show features a new twist, however, as each participating artist has been challenged to interpret a theme: “Blue.” Such a broad concept , given the wide range of artistic interests amoung the many talented Art League members, should make for a memorable event. 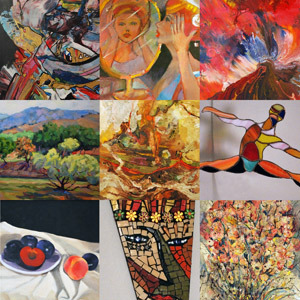 The Visalia Art League Members Exhibition will be on display at Arts Visalia from June 2nd through June 25th with an opening reception to be held Friday, June 4th from 6 to 8pm. Admission is free and open to the public.